This learned study may claim to be the most comprehensive and detailed survey ever to have been published of the evidence of the use of crucifixion in the Graeco-Roman world and the way in which it was regarded by the people of the time. Beginning from the use of crucifixion as a form of execution practised among barbarian peoples, Dr Hengel shows how it was employed in the Roman empire, in the Greek-speaking world and among the Jews. He also investigates how far 'crucifixion' was a term used metaphorically or in philosophical discussion. His conclusions bring out more starkly than ever the scandal presented by the Christian message of the crucified Son of God and show that Jesus was seen to have died, not just a cruel death, but one of the worst forms of death devised by man for man. Martin Hengel was Professor of New Testament and Early Judaism in the University of Tubingen. 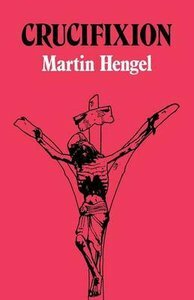 About "Crucifixion: In the Ancient World and the Folly of the Message of the Cross"
Martin Hengel (1926-2009) was professor emeritus of New Testament and early Judaism at the University of Tubingen, Germany. He was a world class scholar and pre-eminent authority on Judaism and the New Testament World. He authored over 150 books and articles, including Acts and the History of Earliest Christianity; Jews, Greeks, and Barbarians; Between Jesus and Paul; Judaism and Hellenism; Studies in the Gospel of Mark; The Four Gospels and the One Gospel of Jesus Christ and Saint Peter: The Underestimated Apostle.